In June, Facebook announced a small change to its algorithm. The platform will now be promoting your friends’ posts in your Facebook feed over news posts from relevant media, publishers and businesses. While this is great in theory because it can cut down the clutter you might not want, it puts a lot of businesses in a bind. According to an article in International Business Times, more than 50 million businesses use Facebook Pages — from big brands like McDonald’s and Nike to small local businesses and tech startups. They will be forced to pay advertising dollars to reach people over the social media platform and increase visibility, instead of relying on Facebook’s grassroots appeal. The biggest losers in the new algorithm changes however, are dating apps, because many don't even have the option to advertise. 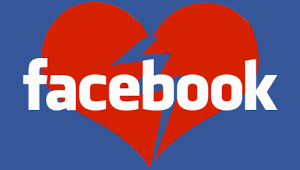 Back in early 2014, Facebook introduced restrictions on the dating industry that required all companies, no matter the size, to be pre-approved for advertising. It was an effort to crack down on dating services that were abusing their advertising privileges with suggestive images and messaging to potential users, because their content could be interpreted as too explicit or inappropriate. As a result, all dating apps are paying the price. Even traditional and reputable dating apps that boast large followings like Match are prevented from advertising until they go through an application process to be whitelisted. Some dating services that applied over two years ago are still waiting to hear if they have been approved. The rules for approval and advertising guidelines were decided by committee - a roundtable Facebook held with some of the largest dating advertisers in the industry, including Match and Zoosk. The basic process is this: after being accepted to advertise, approved dating services have to adhere to certain standards, such as only targeting people 18 and older who list themselves as single and interested in meeting men or women. Sites that have a sexual emphasis are not permitted, nor are dating sites that use any suggestive or pixelated images. Dating apps like HER, which markets to the lesbian community but is a platform for forming friendships as well as dating, was affected negatively by the new policies. In fact, 30% of their users are in relationships, but they use the app to find groups of friends with similar interests. HER is not allowed to advertise to these users over Facebook, only the single users. More dating apps as a result have been turning to Twitter and YouTube for advertising their services. While Twitter doesn’t allow explicit advertising, their platform is less restrictive for dating services overall. And this might change the way dating services appeal and market to potential customers, as they leave Facebook to spend their ad dollars on other platforms.